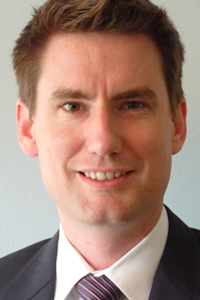 Chris Lawrence was admitted as a barrister in 2006 and practises almost exclusively in Family Law and Succession Law. Chris’s succession law and estate work includes family provision claims, contested wills, equity and trusts, probate suits, and related issues. He has authored articles and given a number of papers to other lawyers in the area. In the family law jurisdiction, Chris is briefed to represent clients in both property and parenting matters. He appears in the Family Court, the Full Court of the Family Court, the Federal Circuit Court, and the Children’s Court. He is a member of the Law Council’s Family Law Section. Chris provides advocacy and advice across these areas, undertaking both trial and appeal work, as well as interlocutory applications, and appearing at mediations. Based in Sydney, he is also briefed regularly to appear interstate and on circuit. Before joining Edmund Barton Chambers in 2008, Chris practised from Seventh Floor Garfield Barwick Chambers. After being called to the Bar in 2006 he developed a broad practice in areas involving equity and trusts, bankruptcy, corporations, contracts, crime, employment law, insolvency, intellectual property, misrepresentations, partnerships, and professional negligence, before focusing his practice in family law and succession work. He was previously a solicitor at a boutique Sydney firm working in the areas of employment and commercial litigation acting for banks, insurers and other corporate clients and individuals. Prior to that, he worked at the office of the NSW DPP.